Contract cheating: a new challenge for academic honesty? ‘Contract cheating’ has recently emerged as a form of academic dishonesty. It involves students contracting out their coursework to writers in order to submit the purchased assignments as their own work, usually via the internet. This form of cheating involves epistemic and ethical problems that are continuous with older forms of cheating, but which it also casts in a new form. It is a concern to educators because it is very difficult to detect, because it is arguably more fraudulent than some other forms of plagiarism, and because it appears to be connected to a range of systemic problems within modern higher education. This paper provides an overview of the information and literature thus far available on the topic, including its definition, the problems it involves, its causal factors, and the ways in which educators might respond. 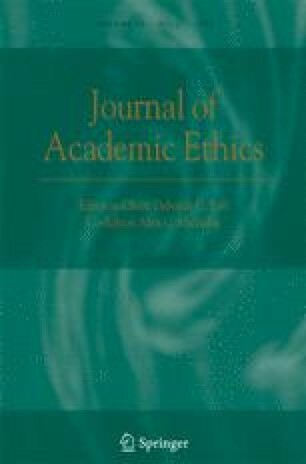 We argue that while contract cheating is a concern, some of the suggested responses are themselves problematic, and that best practice responses to the issue should avoid moral panic and remain focussed on supporting honest students and good academic practice. Clarke, R., & Lancaster, T. (2007b). Assessing contract cheating through auction sites—a computing perspective. HE Academy for Information and Computer Sciences <http://www.ics.heacademy.ac.uk/events/8th-annual-conf/PapersThomas%20Lancaster%20final.pdf>, accessed 17 August 2011. Clarke, R., & Lancaster, T. (2009). Contract cheating in UK higher education: promoting a proactive approach. HE Academy for Information and Computer Sciences (presentation powerpoint) <http://www.brookes.ac.uk/aske/documentsPlagiarism09_LancasterClarke.pdf>, accessed 17 August 2011. “The cybercheats making a small fortune”. (2006). Mail Online, 17 June 2006. <http://www.dailymail.co.uk/news/article-391085The-cybercheats-making-small-fortune.html>, accessed 17 August 2011. Dante, E. (2010a). The shadow scholar. Chronicle of Higher Education, November 12 2010. <http://chronicle.com/article/The-Shadow-Scholar/125329/>, accessed 15 August 2011. Dante, E. (2010b). Live chat with an academic mercenary. The Chronicle of Higher Education, November 12 2010. <http://chronicle.com/articleLive-Chat-With-an-Academic/125342/>, accessed 15 August 2011. Halford, R. (2007). “Is it ethical and legal to buy a custom written or pre-written essay?”. Articlesbase June 20 2007, <http://www.articlesbase.com/college-and-university-articles/is-it-ethical-and-legal-to-buy-a-custom-written-or-prewritten-essay-167868.html>, accessed 24 August 2011. Levinson, H. (2005). Internet essays prove poor buys. BBC News, 7 April 2005. <http://news.bbc.co.uk/2/hi/4420845.stm>, accessed 17 August 2011. Mamatas, N. (2008). “The Term Paper Artist: The lucrative industry behind higher ed’s failings”. The Smart Set, <http://www.thesmartset.com/article/article10100801.aspx>, accessed 16 August 2011. McCabe, D. (2005). Cheating among college and university students: a North American perspective. International Journal for Educational Integrity, 1(1). <http://www.ojs.unisa.edu.au/index.php/IJEI/article/viewFile/14/9>, accessed 12 October 2011. Online Etymology Dictionary. (2011). <http://www.etymonline.com/index.php?allowed_in_frame=0&search=plagiarism&searchmode=none>, accessed 14 October 2011. Oppenheim, C. (2005). Why I… believe students who buy essays via the web get poor value for money. Times Higher Education, 8 April 2005. <http://www.timeshighereducation.co.uk/story.asp?storyCode=195226&sectioncode=26>, accessed 17 August 2011. Perry, M. (2011). NYU Prof vows never to probe cheating again—and faces a backlash. The Chronicle of Higher Education, 21 July 2011. <http://chronicle.com/blogs/wiredcampusnyu-prof-vows-never-to-probe-cheating-again%E2%80%94and-faces-a-backlash/32351>, accessed 15 August 2011. Shepherd, J. (2008). History essay in the making. The Guardian, May 6 2008. <http://www.guardian.co.uk/education/2008/may/06/highereducation.students>, accessed 15 August 2011. Shepherd, J., & Tobin, L. (2007). Their dark materials. The Guardian, 3 April 2007. <http://www.guardian.co.uk/education/2007/apr/03/highereducation.students>, accessed 17 August 2011. Sigthorsson, G. (2005). Copy/Paste: the joys of plagiarism. M/C Journal: A journal of media and culture, 8(3), <http://journal.media-culture.org.au/0507/04-sigthorsson.php>, accessed 30 August 2011. Stevenson, S. (2001). “Adventures in Cheating: A guide to buying term papers online”. Slate <http://www.slate.com/id/2059540/>, accessed 16 August 2011. Time Magazine. “Education: Term Paper Hustlers”. (1971). Time Magazine U.S. April 19 1971. <http://www.time.com/time/magazine/article/0,9171,905050-2,00.html>, accessed 14 October 2011. Witherspoon, A. (1995). This pen for hire: on grinding out papers for college students. Harper’s Magazine, <http://www.highbeam.com/doc/1G1-16916045.html>, accessed 16 August 2011.